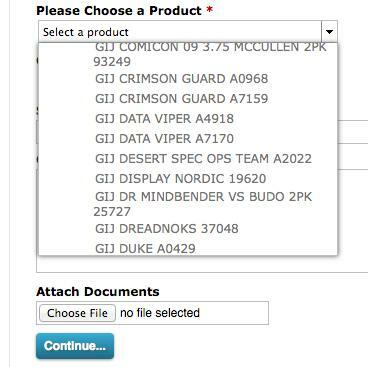 Possible Upcoming GI Joe Product?!?! 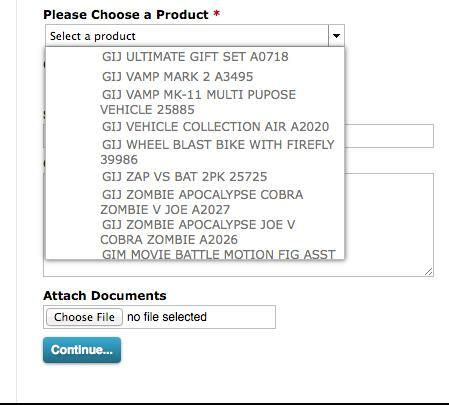 New GI Joe Kreo and Zombies??? All the credit for this belongs to the Fighting118th. 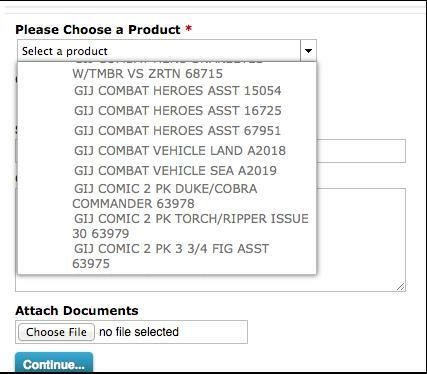 On Hasbro’s Customer Service site, they found SEVERAL listings for new/potential GI Joe product! While I want to jump on the hype train big time, we should take things slow. Lets take a look at the different screen shots. There are listings for: Outpost Defender, Firebat Attack, Figure Waves 3 and 4 (if I am reading that correctly), Figure Packs, Outpost Defense, a TERROR DROME, and the Wolverine vs Firebat. That is quite a list. Notice I omitted the “Serpent Snake Armor” as a set with a very similar name has already been released, but this could possibly be something different as well. The big thing that sticks out is the Terror Drome! It would be amazing to get that in Kreo form! I want to believe in the veracity of this list because of the Wolverine vs. Firebat listing that we have already seen in a TRU computer screen grab. But who knows…. Highlights from this list include: VAMP MK II, Ultimate Gift Set, Vehicle Collection Air, ZOMBIE Apocalypse, Vehicle Collection Land, Vehicle Collection Sea, and Desert SPec Ops Team! This could lead to a VERY promising 50th Anniversary! But for the moment, it is all unconfirmed speculation. We will probably be forced to wait until Toy Fair in February for any of this to be confirmed or dismissed. Categories: GI Joe News | Tags: Cobra, G.I. Joe, G.I. 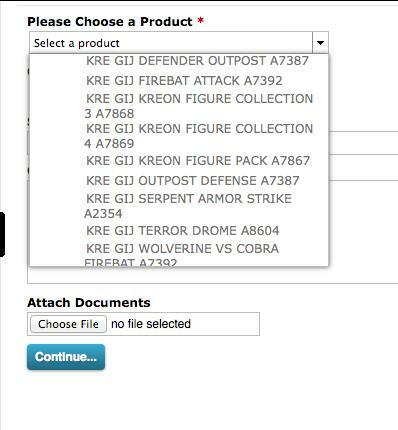 Joe Kreo, GI Joe, GI Joe Kreo, Leaky Suit Brigade, Toys R Us | Permalink. My guess is these were the plans for more 30th stuff, but I’d be happy to be wrong on some of it. I agree. I do not think we will see most of it, but some – especially the Kreo stuff – should see the light of day.